As you may know, one of my goals for this year is to get my house de-cluttered and more organized. 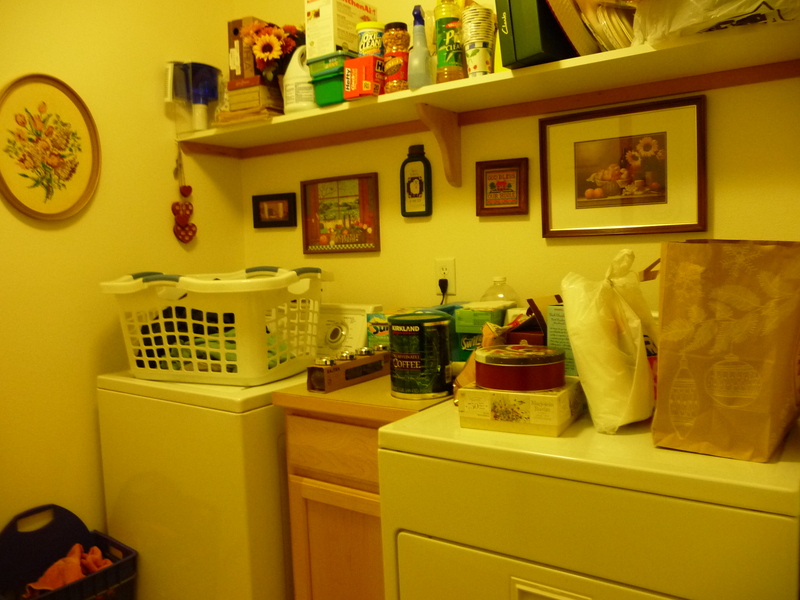 This past week my dear husband worked very hard doing just that in the laundry room. 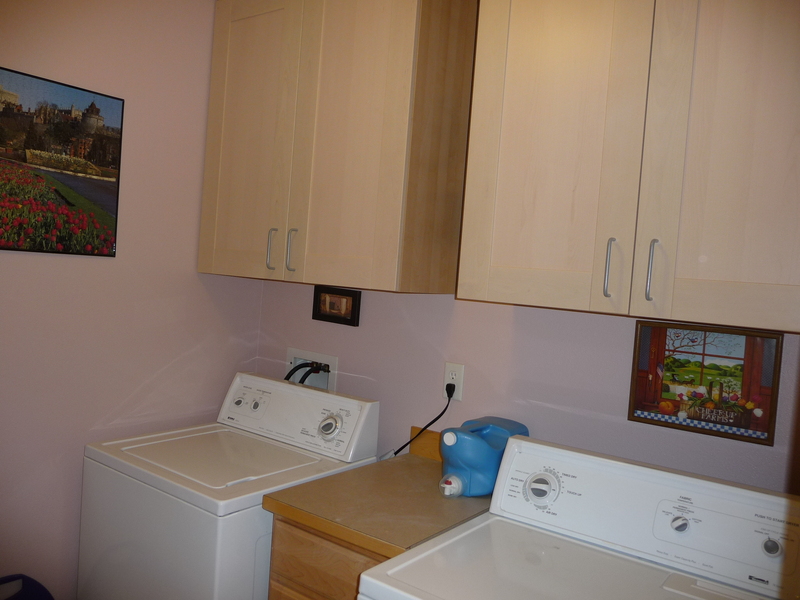 He first moved all the “junque” out, pulled the appliances away from the wall, cleaned up all the dryer fuzz-bunnies that were lurking back there, and then began to paint. Again I’ll shout out kudos for Lowe’s Valspar low VOC paint. It covers great in one coat and doesn’t smell up the house! After the painting was done and dry, he then took on the task of hanging the new cabinets where there were none before. I honestly don’t know how he did that singlehandedly – but it was all accomplished before I got home from my two days at work last week! This week we replaced some of the “junque” that was on the shelf, some went to the DONATE pile, and most of the wall stuff went back up. 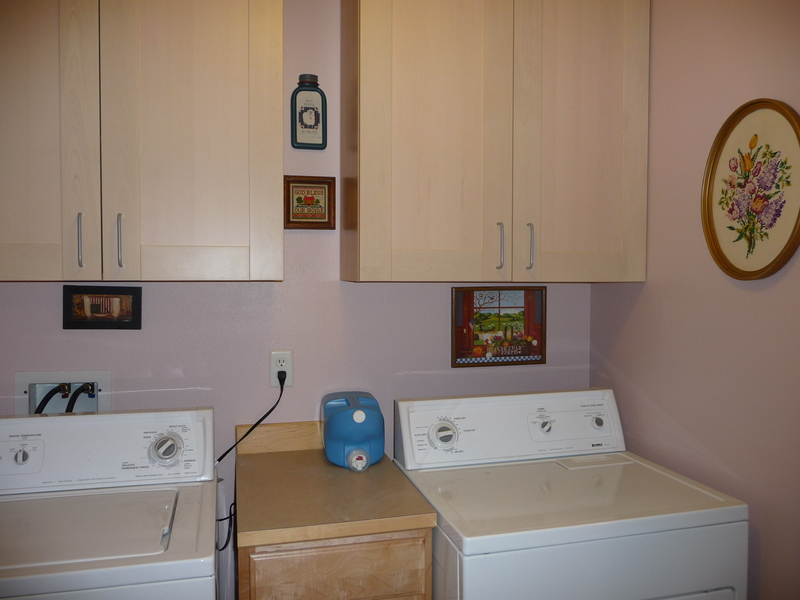 Here are the before and after photos…. Big improvement, eh? I’m thrilled that I now have a place to actually store odds and ends, out of sight! What an incentive to keep this room clean and neat! Big thanks go to my dear home-handyman hubby who did an awesome job on this room!!! 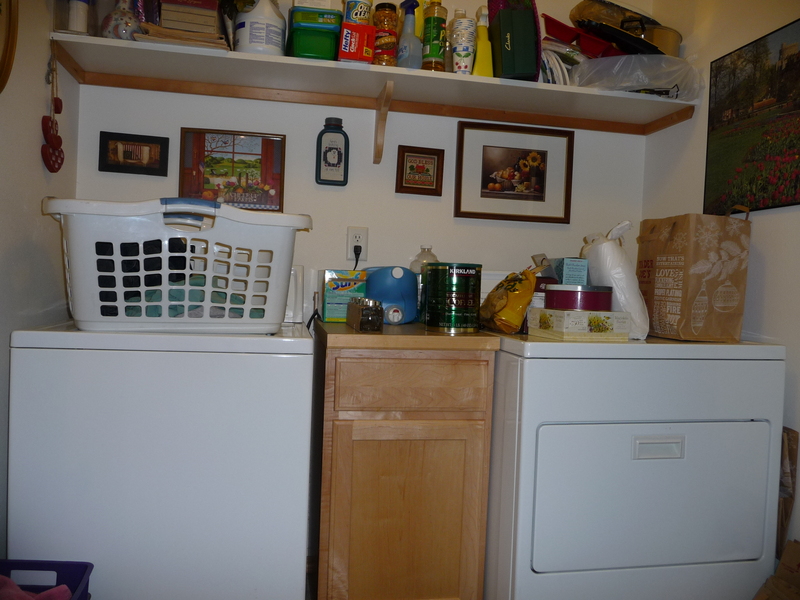 This entry was posted in General Musings and tagged laundry room, room makeover. Bookmark the permalink.